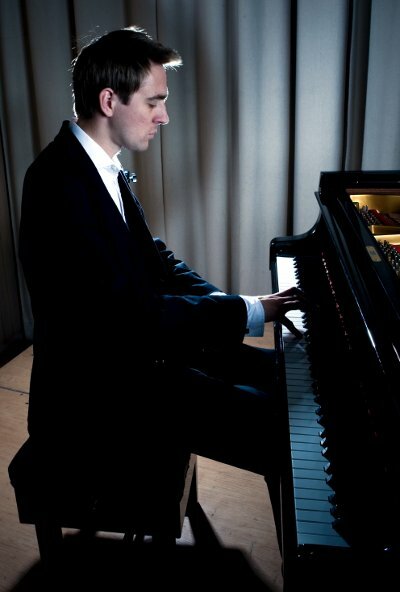 English pianist Simon Watterton has given recitals as soloist and chamber musician all across the world. In recent years he has performed in China, Canada, the USA, Sweden and Italy as well as extensively in the UK and Ireland. He made his concerto debut at London's Cadogan Hall and was featured as a Rising Star in International Piano Magazine while he was performing a cycle of all the Beethoven piano sonatas. Simon has made two visits on a collaborative piano internship to the Banff Centre, Canada. He has worked with a range of artists including his wife, Irish violinist Anna Cashell, cellist Raphael Wallfisch and the London International Players, with whom he appeared live on the BBC Radio 3 "In Tune" programme in 2013. A specialist in the music of Beethoven, Mozart and Schumann, Simon's repertoire encompasses a broad range of styles and periods. He has also given lecture recitals ranging from Liszt's Anness de Pelerinage to Bach's Goldberg Variations. He has coached in Italy on the Orchestra Città Aperta Chamber Music Course, and is currently a teacher at Royal Holloway University. As a writer on music he was recently asked to select the music and write a foreword for a new edition of Frank Bridge's piano music, published by Dover Publishing in October 2013. Simon studied at the Purcell School of Music with Patsy Toh and the Royal College of Music with Yonty Solomon, where he won a range of prizes and awards. He is represented by Ellison Stromsholm Management.